Throughout 2018, we’ve been hard at work growing our team, listening to our customers’ feedback and concerns, and expanding our product offerings. 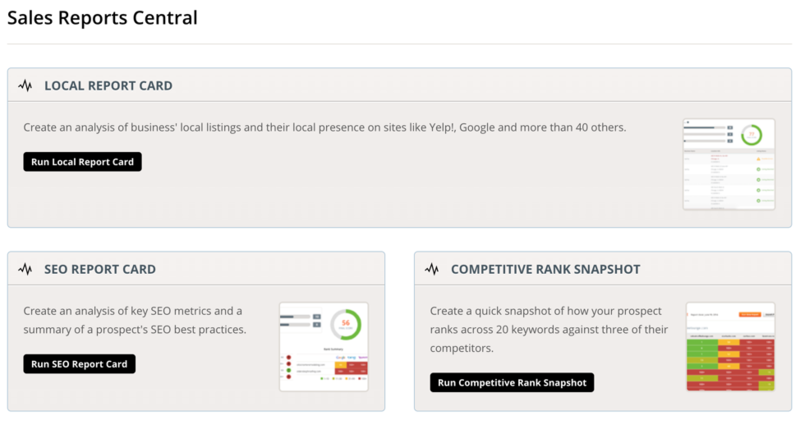 We’ve made it even easier for our agency partners to request reviews and modify their profiles on the Top Local Agency Marketplace. We’ve cleaned up our interface and adjusted our algorithm to ensure that small business owners will always be able to find the right agency for them. And, of course, we’ve significantly lowered our pricing on our digital marketing reporting suite and released a number of new features. 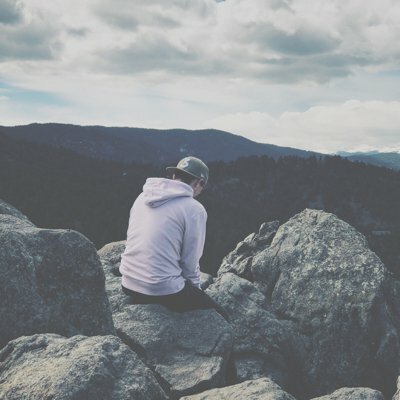 Our agency partners have been incredibly helpful in providing constant feedback and support as we continue to strive to create the best product possible. We’ve listened to each and every Intercom message, phone call, and email and based on the community’s requests, we went back to the drawing board to reimagine our Sales Center area. The first addition we made was a more robust profile management area, giving our agency partners the ability to truly take control of their listing. Next, we implemented a new review generation feature to help our partners easily and quickly request reviews from their clients. 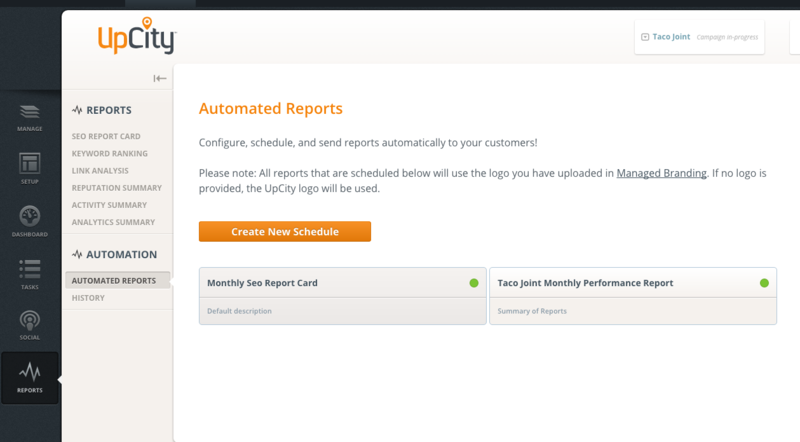 Now, we’ve turned our attention to our Sales Reports and embed tools to provide enhanced functionality and more reports to help our partners close more deals! 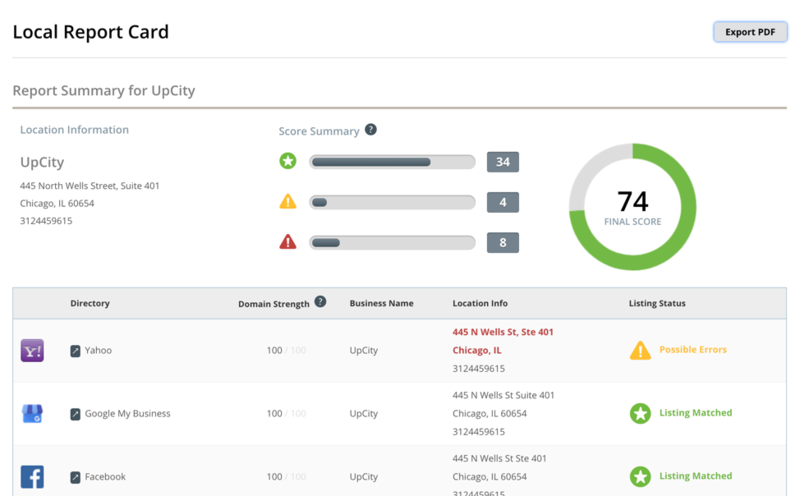 The SEO Report Card and Competitive Rank Snapshot Sales Tools have been two of our more popular additions to the UpCity platform in recent years. As local SEO continues to grow in importance with new hyper-local Google algorithm adjustments, our aim was to stay on top of the trend and provide our agency partners with the necessary tools to successfully sell local listing management and other local SEO services. 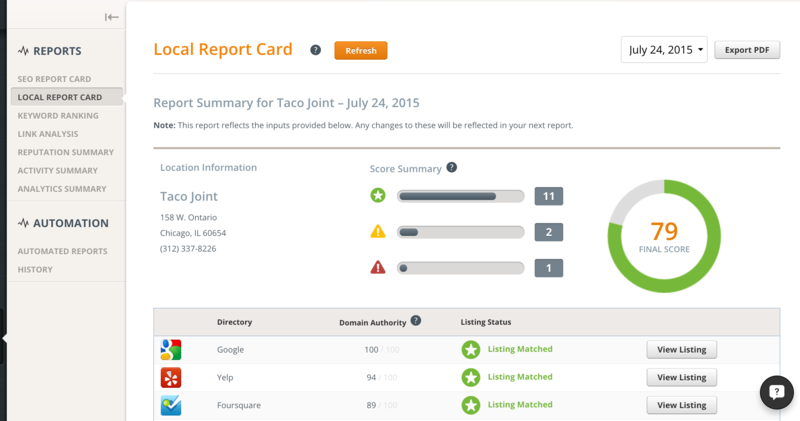 The Local Report Card Sales Tool allows our partners to quickly gauge a prospect’s current local presence on directories like Google My Business, Yelp!, Foursquare, and more by simply entering a few small bits of NAP information. In a few short minutes, you’ll receive a comprehensive report of that prospect’s current online local presence. The Local Report Card makes it easy to quickly find NAP information that may be inconsistent or to find directories in which your prospect is not currently listed. 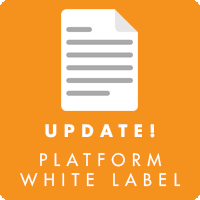 Additionally, our agency partners can fully whitelabel the new Local Report Card, just like our other Sales Tools, to create a clean, branded PDF that’s ready to be delivered to the client. 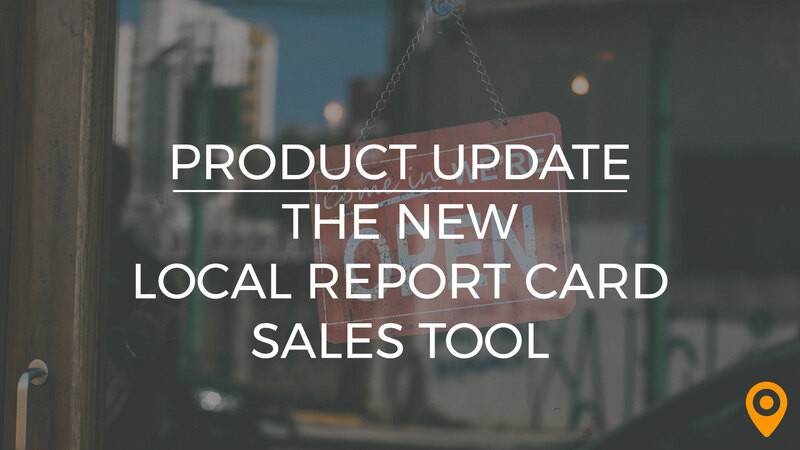 Take Advantage of Our New Local Report Card Sales Tool Today! Login to your existing UpCity account to start taking advantage of our new Local Report Card Sales Tool today! Don’t have an UpCity account? Get in touch with us to learn how our Agency Growth Engine can help your business acquire more leads, close more sales, and scale your client relationships with ease.